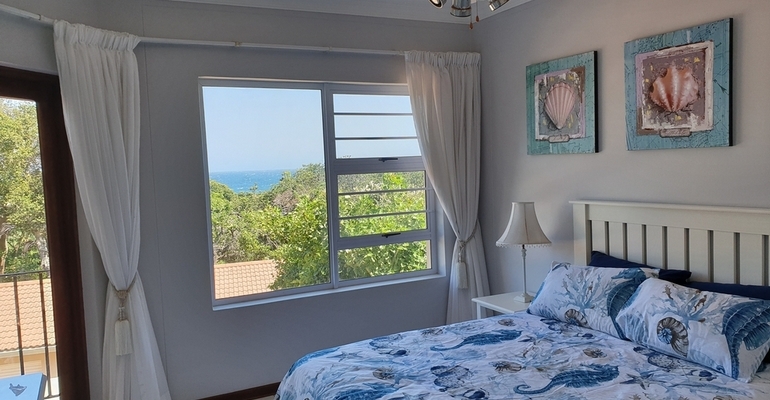 Come and enjoy the magnificent Seaview from 204 Casuarina Sands, a beautiful self catering holiday apartment with 2 bedrooms and 2 bathrooms, sleeping a total of 5 guest. Feel the ocean breeze as you kick up your feet from the balcony... enjoying a glass of wine with steak on the Weber. The patio has a 4-seater wood garden set where guests can enjoy the great sea views over the tree tops. A magnificent private beach just 3 minutes walk through the gate at the bottom of the 24 hour secured complex.